Cardea (part of Garage 2020) asked us to design a product for more resilient minds that can deal with the high amount of pressure we put on ourselves. Reflection exercises work well to form resilient minds, but it’s much more fun to answer questions about each other than it is to answer questions about your self. 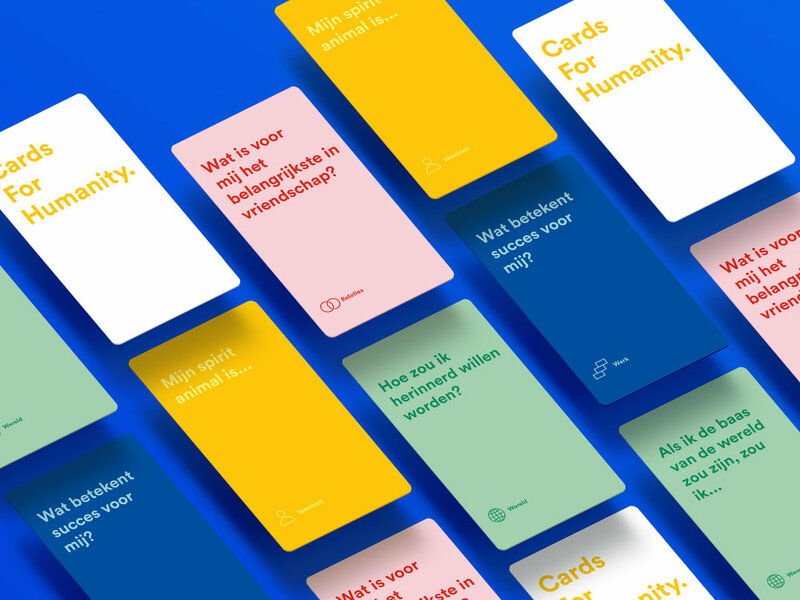 Open Kaart is a card game (for now!) that allows people to answer questions about each other and pick their own truth. The one that empathises the best, wins. Open Kaart was initially designed as an app, but because of healthcare constraints we switched to analog prototyping - which turned out to work just as well. As a studio we believe in our products and are not constrained to digital products - if solutions IRL work better. You can now buy it yourself.